This is the last in this series of How To’s. We hope you have found the previous blogs informative and helped you with your photography. We thought we would save this topic for last. Sometimes to get the image you want, the best and only answer, is to hire a photographer. First thing to say; as with every other service you buy there are the good, the bad and the criminal. What we want to do in this blog, is to try and help you hire the best photographer for you. Don’t start Googling for photographers straight away. Sit down with a beverage of your choice, try and work out what you need a photographer for and write it down. The list you end up with, could be as simple as, your wedding, it could be as complicated as producing images for a brochure to promote your multi million pound business. If you start off by writing your requirements, it gives you a chance to think about what you need. You may know a hobbyist photographer, who will volunteer to do the pictures for you. All we will say is please, please be careful. The difference between producing pictures for pleasure and producing images on demand, in short time frames, can’t be underestimated. Having the appropriate equipment to do the work and second or even third backups, in case something fails, is a prerequisite of a good photographer. So you’ve got your requirements list. 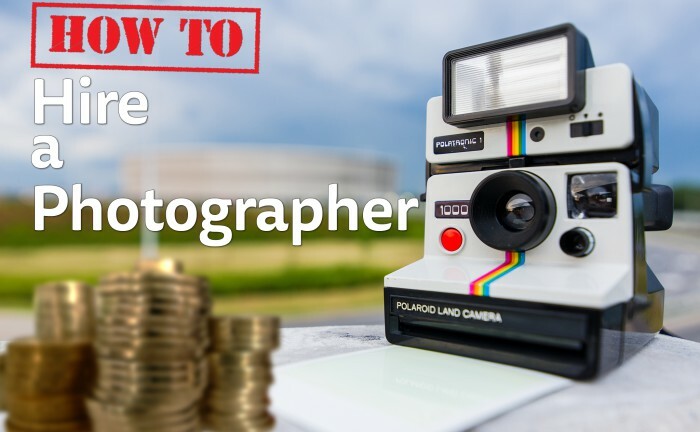 Next do you know anyone who has recently hired a photographer? If so talk to them. A personal recommendation; is a good place to start. Otherwise it’s time to hit the internet. When searching, try local first. If that doesn’t produce the results then it’s time to go further afield. The reason to try local first, it’s easier to arrange face to face meetings. When you are looking at the photographer’s website, look for variety in the pictures. Many people browse the internet on their phone, but when checking out photographers, you may be better to use a device with a larger screen. Select a couple of photographers. Take a look at their social media. Do they have a good online reputation? Do they respond to messages sent to them? Are people happy with the results of booking the photographer. Contact people via Facebook for feedback. Once you are happy get in touch, this is the start of the final vetting process. It doesn’t matter if it is for you personally, a wedding for example or for your business or employer. Here is our list of things to check. Once you have done all these checks arrange a face-to-face meeting. The meeting should be with the photographer who is going to take your pictures, not anybody else. It is so important, that you and your photographer, can talk and get to know each other. Before finally choosing a photographer, think about, can I work with this person. It will be the two of you working together that gets the best pictures. Should you want some more help, please get in touch.